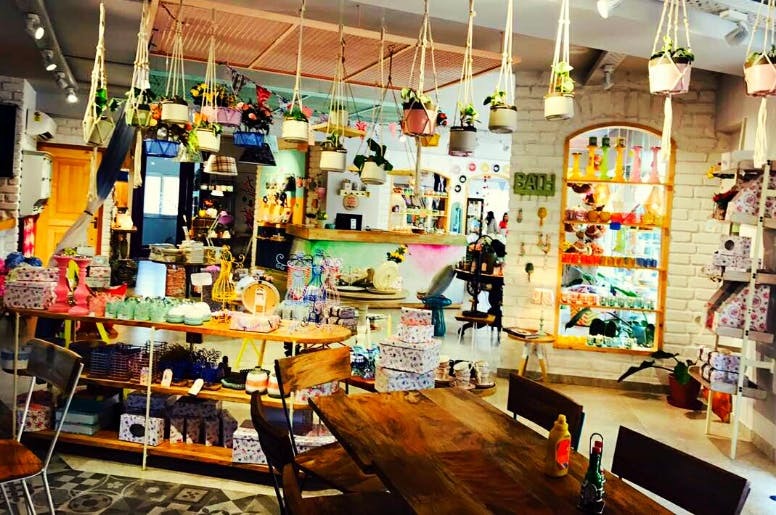 This Is The Prettiest Cafe In Bangalore, And You've Gotta Head Here After Work! This is the prettiest cafe in town - I could literally go all alone and take in all the prettiness with a cup of tea in my hands for hours. It's a home decor store and vegetarian cafe, both in one. The cafe was a great idea in order not to let the great ambience go to waste. They have a large selection of teas and other drinks, flatbreads, some high tea snacks, appetisers, sandwiches, freakshakes and pasta. The pasta looked very tempting, so I know my order for next time. The flatbreads and appetisers tasted good and very authentic. The drinks were great. This is also paradise for all the home decor freaks- all the pretty pieces are for sale and you'll literally wanna bag every piece. For all those who haven't paid this place a visit yet, you know where to head this weekend! Girls, How About Dining In A Dollhouse?